Super Light ! E28 wheels for dedicated race use are the choice when coming in first is the top priority. BBS got its start in the 1970s when it began producing wheels for touring car racing. It quickly became a widely recognized name in the world of motorsports because of its ability to produce race-winning wheels that compromised neither integrity nor weight. BSS is perhaps the most winning wheel in top level motorsports for the past 20 years, and known as a world leader. VAC offers this race technology directly to our customers... Please call or email to find out more about what is available for your race car. BBS E28 , Available in 18" and 19" diameters and widths up to 12" and higher available depending on application. Typically, BBS E28 wheel is between $1300-1500 per wheel. 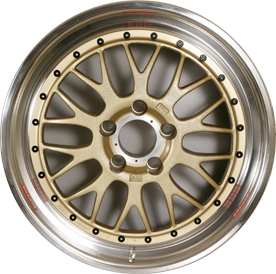 BBS - E26 Motorsport wheel – Need a race wheel from 15-17" in diameter? BBS - E88 Motorsport Wheels – Looking for the advantages of the E28 in Aluminum?